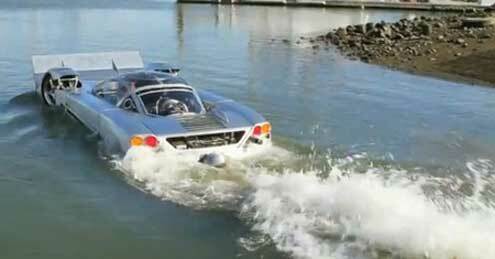 The car-boat called a 'sea lion' was Invented by an American, Marc Witt spent 6 years turning his dream sports car into a sea-worthy vehicle. Sea Lion is powered by a 174-horsepower 13B rotary engine pulled from a 1974 Mazda RX3 and speeds up to 290km/h on land and 72km/h in water! The car starts at US$295,500 ( N45,802,500).